Our towable gas cement mixer has a 6 cubic foot capacity, and requires a 2" ball hitch on your vehicle to transport to your jobsite. Other features include over-sized fixed steel paddles for complete mixing, gear and drum lock to accommodate mixing, discharge, and storing needs, and a 8HP Honda engine. Please return machine as clean as you received it. 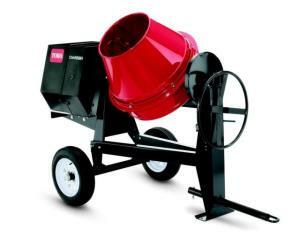 * Please call us for any questions on our cement mixer towable gas 6 cu ft rentals in Hillsdale and Ridgewood NJ.